The fourth-largest mobile carrier in the U.S. has finally secured the rights to sell Apple’s iDevices starting next year. The announcement, made by T-Mobile's parent company Deutsche Telekom AG during an investors conference in Germany, omitted details on which specific products will be on offer at the carrier’s retail stores, but the iPhone is the obvious candidate, which could be joined by the iPad and iPad mini. Apple’s popular handset was an AT&T exclusive in the U.S. since its launch in 2007, with Verizon and Sprint joining the ranks in 2011, followed by smaller regional carriers in the subsequent months. T-Mobile was notably missing from the picture, and this was partly to blame for a widespread subscriber loss. The carrier has made no secret of the fact that it has long been interested in carrying Apple products. In fact, even without Apple’s blessing, T-Mobile already boasts over a million unlocked iPhones in use on its network. The company has been advertising its network and cheap data plans as ideal for those with unlocked iPhones. It’s unclear specifically when in 2013 the company will begin carrying the iPhone. 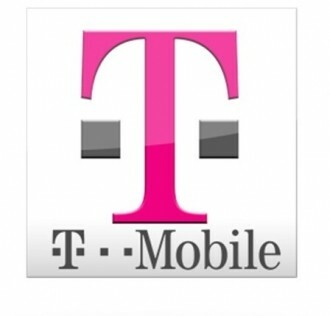 The deal is reportedly tied to T-Mobile's rollout of high-speed HSPA+ on the 1900Mhz band and to its LTE rollout, which is expected to cover 100 million Americans by the first half of 2013 and 200 million by the end of the year. Financial terms of the deal were not disclosed. Previously, company executives had said Apple's asking price was just too high for the company to justify. Indeed, Sprint ended up paying over $15 billion to carry iPhones in 2011, a move CEO Dan Hesse defended as essential to compete with Verizon and AT&T.